We have already covered the place of supply of goods in our article. You will find that determination of place of supply for goods simpler than services, as goods are tangible. It is a crucial aspect under GST because wrong determination of place of supply will result tax collection by wrong authority. For example, inter-state supply is wrongly treated as intra-state supply and CGST & SGST filled instead of IGST. The only option is to pay IGST separately and claim refund of CGST & SGST. Rules for location of recipients and service providers have already been covered in our previous article. In the following articles, we will cover specific rules for specific services. Mr. Ajay (Karnataka) provides consultancy services to M/s Sumati Technologies Ltd. (registered in Maharashtra). Mr. Ajay (Karnataka) provides consultancy services to Mr. Vijay (unregistered but address on record shows Tamil Nadu). Mr. Ajay (Karnataka) provides consultancy services to Mr. Anand (unregistered and address is not available). ClearTax GST Software will make your life much easier. You do not have to calculate the place of supply each and every time for your sales invoices. All you need to do is enter the details of your buyer in the contacts master. You can use ClearTax Bill Book to generate sales invoices. 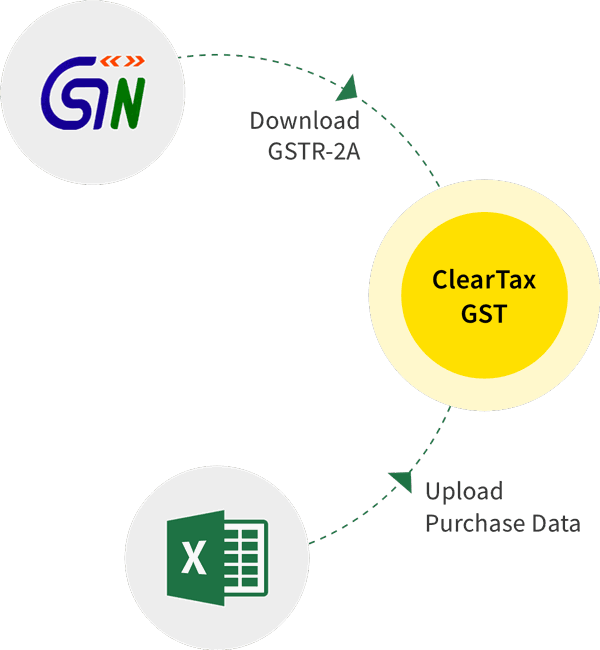 Based on your buyer’s and your GSTIN the software will automatically calculate the place of supply according to the provisions and inform you whether you will charge CGST/SGST or IGST.